Synthetic T4 replacement did NOT work for me. After I radiated my thyroid, I spent months working with my endocrinologist trying to find the right dose of Synthroid. He just kept telling me to raise my dosage, and yet I wasn’t feeling any better. Unfortunately, most conventional doctors prescribe levothyroixin, a synthetic thyroid medication, to address hypothyroidism. 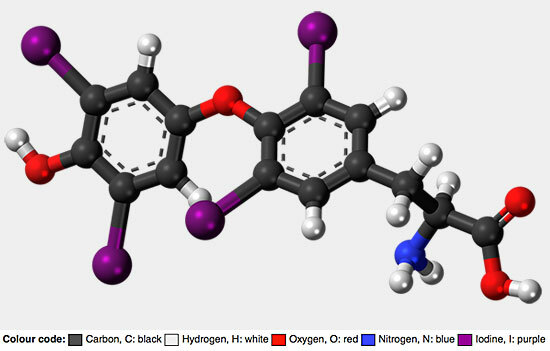 There are two types of thyroid hormones replaced by synthetic drugs—T4 and T3. T4 is a storage hormone, and your body has to convert it to the active T3. Since T3 is the active hormone, you need to be extra careful that you are taking the proper dosage so your body doesn’t fluctuate between hyperthyroidism and hypothyroidism. Synthetic medications are not identical to your body’s natural hormone makeup. They are hormone-like substances with very different properties. Synthetic chemicals will actually compete with your body’s use of natural hormones and can make your condition worse. Levothyroxine is a T4 replacement used to treat hypothyroidism. Their brand names are Levothroid, Tirosint, Unithroid, Novothyrox, Synthroid and Levoxyl. Liothyronine is a T3 replacement used to treat hypothyroidism. It is prescribed under two brand names: Cytomel and Triostat. Typically, doses of T4 replacements start low and are increased in small increments every 4 to 6 weeks until your body stabilizes. T3 is used more quickly by your cells and is likely to be prescribed in a slow release form or a small dose taken every 12 hours. Synthetic hormones can be difficult to balance. If your body is not converting them efficiently, your hypothyroidism either won’t improve or will improve minimally. Take too much T3, and you’ll experience serious side effects like irritability, sleeplessness, and irregular heart beat. Therefore, it’s important to have your T4 and T3 levels monitored frequently to determine the right dose for you. Since synthetic replacements only provide T4 or T3, you won’t get the full spectrum of hormones that your body needs. You might need further treatment to achieve balance. 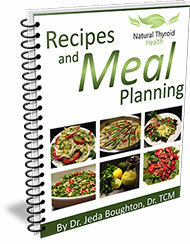 The best strategy is to determine the root cause of your hypothyroidism and work to restore your thyroid gland.